Are you needing a design studio to create floral decor for you or a client’s event? 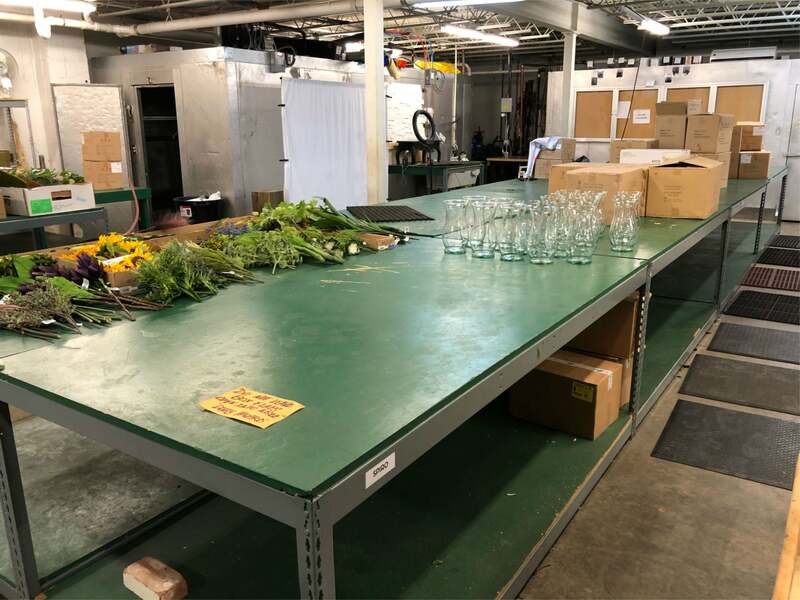 Palmer Flowers has large design tables & space and walk-in floral coolers available for half-day, full-day and multiple day rentals. The Rental Design Studio is fine-tuned for floral decor creation for projects of all sizes. Whether you are a professional designer or a DIY’er, we have the space & coolers to make your project flow smoothly! Included with any space rental is nearby commercial sinks, stem cutters, waste disposal & conveniently located restrooms.